I think I’m in denial that summer is here. It’s pretty easy to do since it hasn’t gotten above 70 here in Boston for a few weeks and I spend most of my time in a freezing cold office building. Also, my apartment has no AC and I get burnt when I just look at the sun. Going to the beach usually results in sunburn lines that you can see well into January and February…no matter how much sunscreen I put on. So most of the time I just like to pretend summer doesn’t exist. I realized earlier in the week, though, that I must have been in denial about summer for the past two years because I seriously have no summer clothes. I have 1 pair of jeans I turned into shorts, 1 sun dress and a pair of studded gladiator sandals that I’m not even sure are still in style. Anyone? Am I safe to wear those? Or will the fashion police come and arrest me? One thing I have fully embraced regarding the warmer weather though is smoothies. 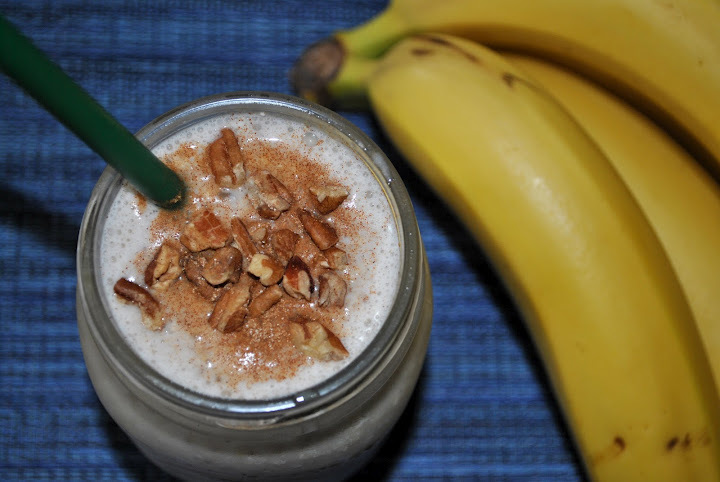 I love smoothies in the summer! They are light, fruity and cold and are seriously, the perfect start to my work day. This one will give you the satisfacation of eating a baked good BUT is way better for you. Which is awesome when you need to fit into your summer shorts and tank tops…which clearly I don’t have to worry about cause I’ll be wearing my sundress/jeacut-off jeans/outdated sandals look all summer. Chic, I know! 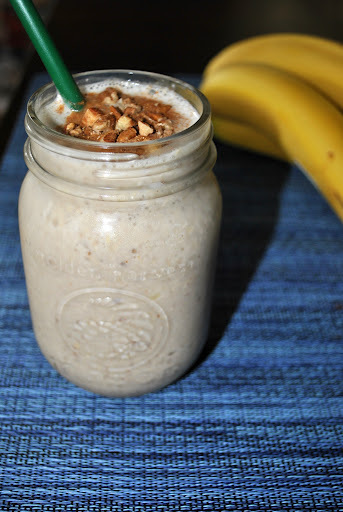 Night before: combine all ingredients [but the frozen banana and 1/4 cup almond milk] in a glass or plastic container. Stir to combine and place in fridge. 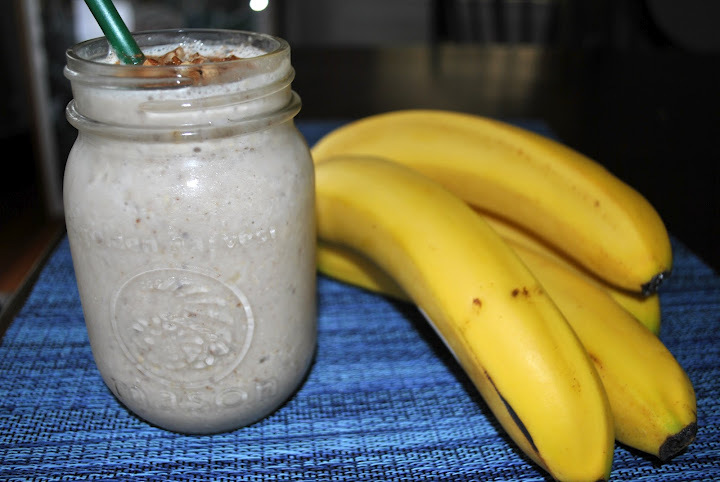 Morning: pour contents of container into blender, add banana and additional almond milk, blend until smooth. So far, in my brief look online for summer clothes, I’ve put 3 pairs of shoes on my shopping list, one of which is a pair of black flip flops with studs on them to replace my gladiators. Whew! I thought for a second I would have to function in the summer without a proper pair of studded sandals!